For the first time since regulated online went live in April, Nevada releases revenue statistics to the public. It’s been a long time coming. While Delaware and New Jersey’s regulatory committees have unveiled iGaming revenue statements on a monthly basis since going live in November, Nevada’s Gaming Control Board has largely refrained. But with the addition of a third online poker site (Real Gaming), the Silver State’s gaming regulations now require it to release monthly reports dictating its financial performance in the nascent regulated gaming market. The first of these reports came into public view Monday. To date, NV’s iGaming industry raised $8.52 million. In February 2014 alone, Nevada’s poker sites generated approximately $824,000 in revenue. By simple math, February’s results were $28,000 below monthly averages. Three month totals equaled $2.64 million. Again, February’s numbers proved slightly below quarterly averages. However, across the state, gaming revenue fell a staggering 13.7 percent, at least indicating that Nevada’s online poker market is holding up relatively well under the circumstances. Cash-game traffic tells a decidedly different tale. According to PokerScout, 7-day volume averages are currently hovering around 170 players. Compare this to last summer, when Ultimate Poker alone brought in somewhere in the vicinity of 200 concurrent cash-game players. Despite the recent falloff, in terms of player-to-population ratio, Nevada is holding its own. As a mode of comparison, last month New Jersey boasted $3.1 million in poker revenue. Given the Garden State’s hefty 8.865 million, the state raked in $.35 in revenue for each person residing within its confines. Nevada, with its much smaller and more spread out population of 2.76 million, came in at about $.30 per capita. 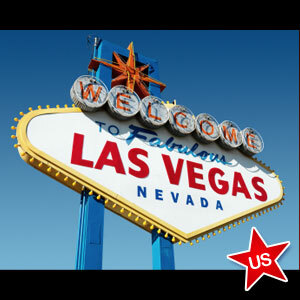 Considering that Nevada does not enjoy the same luxuries as New Jersey – namely, proximity to two major U.S. cities – it stacks up quite nicely against its east coast counterpart. Delaware poker rooms, on the other hand, currently only bring in 8 cents per capital – by far the lowest amount in the regulated gaming marketplace. This is likely due to the state’s miniscule population. As the first state to roll-out a state regulated poker operation, Nevada was designed to the role of guinea pig. At first, geolocation and server maladies plagued the sites, forcing some to either abandon or delay their dreams of playing poker online. Nevada’s small population also served as a deterrent. But with better technology and a newly-forged interstate compact with Delaware in place, it’s possible that more players will give Nevada-based online poker a second chance. Of course this probably won’t happen until the shared liquidity agreement goes live this summer. Still, given the influx of poker players that will be in town for the WSOP, in some ways the timing couldn’t be better. Until then expect Nevada’s iPoker figures to either stabilize or continue to drop off.